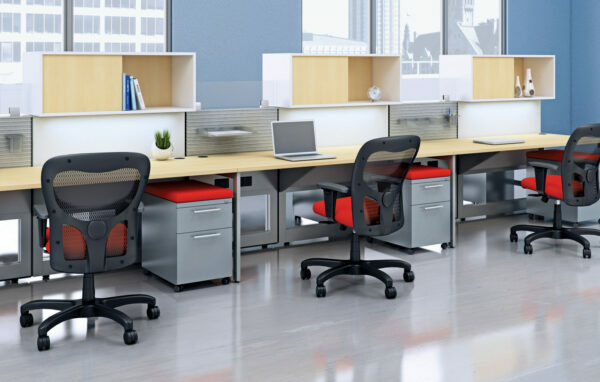 This is a system that can not only improve your office environment’s appearance, but also its impact on people. 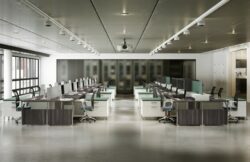 Simply add glass – we offer a range of types – to your Matrix system, and you’ll boost the light radiated throughout the office. This can help boost your employees’ productivity, health and outlook. The key word with Matrix is, indeed, flexibility. Create a warm, upscale and stunning environment, or design something simple and clean. 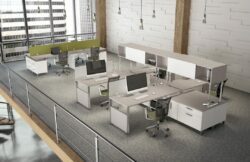 Matrix allows you to efficiently and easily develop virtually any style and size of workspace. Our full-frame design and tile-mounting system means you’ll face fewer challenges when you confront a new footprint or task. Simply choose the tiles you need – they’re available in sizes of 8″ to 64″ and 11 different styles.